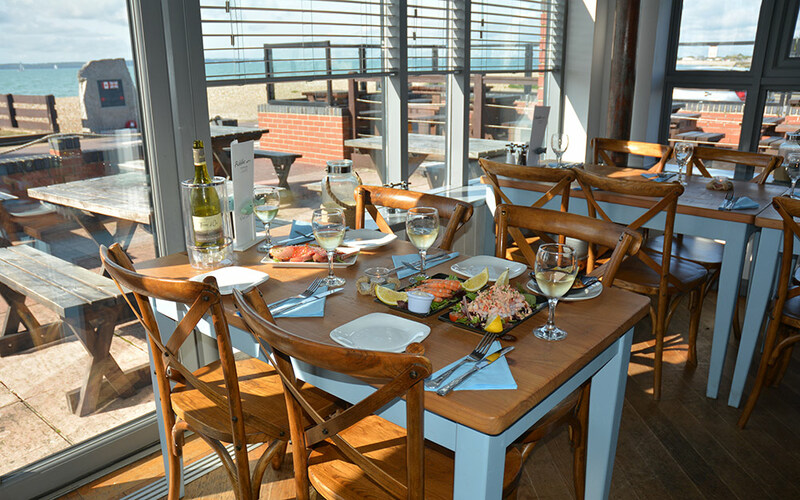 Located in the heart of Stokes Bay, Pebbles Fish & Wine Bar provides the perfect venue on the water’s edge. Our relaxed restaurant with its coastal theme offers an extensive menu of daily specials, tapas, main meals and vegetarian options using the finest ingredients and freshly caught fish & seafood from the local market. Why not celebrate a birthday, special family occasion or just pop in for an impromptu lunch? Our restaurant offers both indoor and outdoor seating to make the most of the splendid view. Our jazz evenings are back from 10th April!